Flexage Balls™ are the WORLD”S BEST EXERCISE / MASSAGE BALLS. 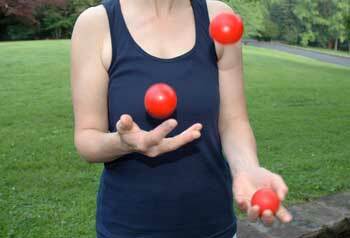 The thermoplastic gel balls developed by IRONWEAR™ can be used for hand exercising, massage, physical therapy, and juggling. Flexage Balls™ can be highly beneficial for hand and wrist strengthening, carpal tunnel exercises, improving blood flow, and stress reduction, as well as the best massage tool you will ever find, great for the massager and the massagee. Flexage Balls™ are fantastic massage tools. With a little lotion the balls roll smoothly over the skin, providing soft uniform pressure. They are much easier on the massager as well, the balls fit into the palm and require less finger pressure so that you can massage longer with more pressure and still feel what is going on. Flexage Balls™ are the latest technology from IRONWEAR™. IRONWEAR™ was the first to develop thermoplastic gel exercise balls over a decade ago, long before anyone else. IRONWEAR ™ produced them in the USA and supplied them throughout the world. Flexage Balls™ are now being offered for a limited time in pairs from IRONWEAR™. They were produced in the USA in our Pittsburgh, PA factory. Flexage Balls™ are made out of IRONWEAR™’s own unique thermoplastic gel formula with “baby oil”. The formula creates a solid pliable ball about the same softness as your skin with a soft non-stick outer surface. And just like your skin you can make it smoother by rubbing the balls with hand cream or baby oil. Flexage Balls™ are great squeeze balls, ultra strong and durable. You can take out all your aggression or nervous tension on them. They can be stretched, smashed and twisted, and will snap back into shape. The medium durometer (softness) is nice for stretching out sore fingers and joints. Flexage Balls™ PAIRS ARE GREAT!!! The balls are supplied in pairs, which can be used together for both exercise and therapy. A pair gives you more range of motion as well as more manipulation exercises and more massage options. Flexage Balls™ give three incredible tools in one. You get all the exercise therapy of Chinese Exercise Balls; all the strengthening exercises of squeeze balls, and the greatest massage tool you will ever own. Flexage Balls™ are great gifts………….